You might have used the Ezvid software to record your screen. I have to use it on my Windows 8 machine because this is a popular screen recorder, it is free and easy to use. However, I have some issues with the software. I can’t preview the output video, and there is no option to save the video to a file. Ezvid allows uploading directly to Youtube at the moment and I don’t really like it because I have to provide Youtube credentials within the software and I’m not sure the freeware is reliable enough. 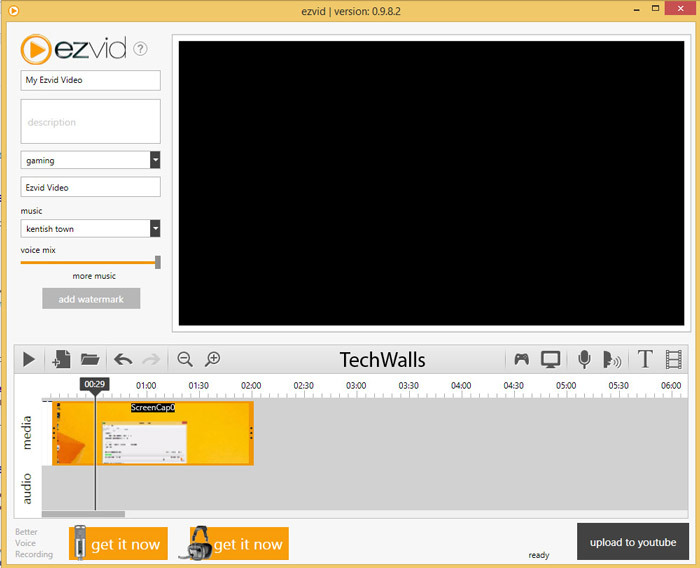 So, now you can get your videos and bring it to your video editor. Hope it helps. Um, but I can’t find it there! I tried to find it on every single one, but the only thing that appeared was the images I used to make the video… I deleted the “Made using Ezvid” video… is that it? Or is it something to do with the settings?